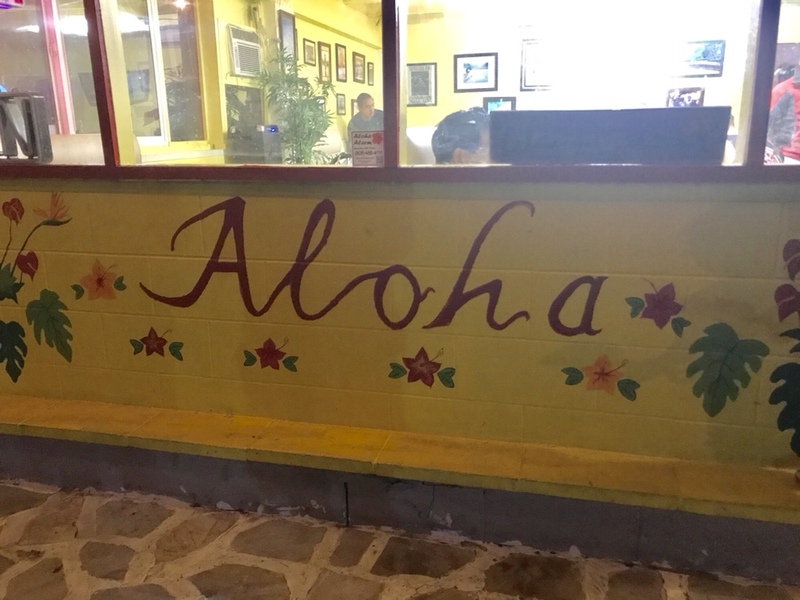 One of the best parts about living on Oahu is the food. I love food. I have no shame. I eat all the foods. All the time. Of all the regrets to go to my grave with, “I could have ate that, but I didn’t” certainly will not be one of them. 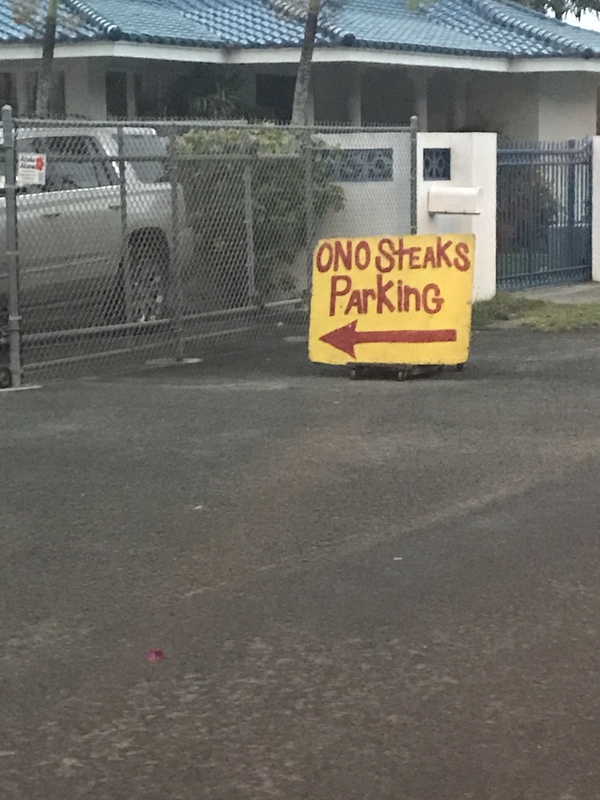 One of our favorite little places we discovered early on is Ono Steaks & Shrimp Shack. We came upon it randomly when driving around the island one afternoon and I am so glad we did. 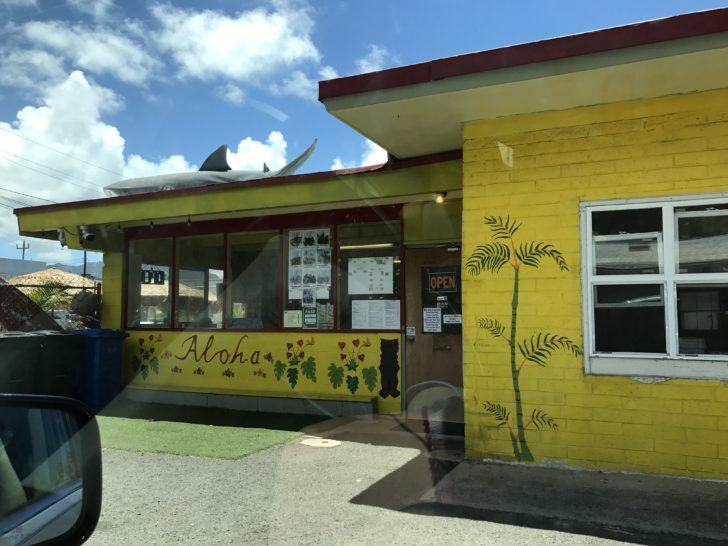 It is tucked off the street in Waimanalo on the east side of the island. It’s a bit of a trek from our Honolulu home, but so worth it. It’s completely no-frills, but the quirky bright yellow outside will pique your interests and draw you in. And the amazing food will keep you coming back again and again. You won’t find many tourists here since it’s off the beaten path, so prices are fair and the food is fresh and delicious! 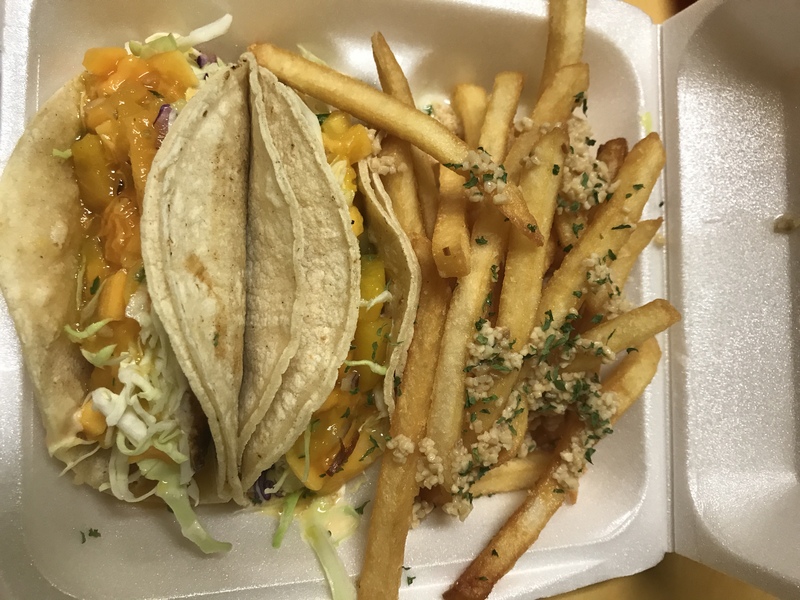 My hands down favorite is the fish tacos (with mango – yum!) and a side of garlic fries. Life doesn’t get better. Your meal is served in styrofoam containers whether you are staying or ordering food for take away. You clean up after yourself and throw your rubbish in the bin outside. As I said, no-frills. If you’re looking for amazing, local food, be sure to stop in to Onos! You will be so glad you did!